When Sunni Forrest’s stepbrother accidentally transports himself into a Renaissance painting, she and her friend Blaise set out to bring him back. They find themselves in a strange world of labyrinths, monsters and pirates. Can they evade their greedy pursuers? And will they ever find their way home? 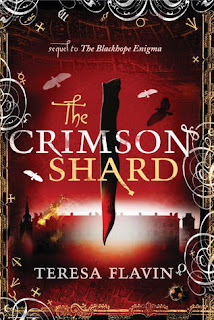 During what seems like an ordinary museum visit, a tour guide lures Sunni and Blaise through a painted doorway, where they discover they’ve stepped into eighteenth-century London. 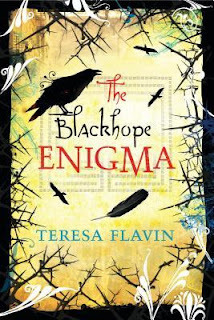 When they realize their "tour guide" will do anything to learn what Sunni and Blaise know about magical paintings, they attempt to flee and encounter body snatchers, art thieves, and forgers in this gripping sequel to The Blackhope Enigma. Can they evade their captors and figure out how to get back home before it’s too late? Or will keeping their secret safe mean they’re stuck in the past forever? Never heard of these books before. Sounds interesting!